I mainly post from my phone. I've noticed that on this site there is a drastic lag when I type... Sometimes I finish a word before the 1st letter appears. Does anyone have this issue or know why I am? I don't have this problem on other sites. This is just a guess-- but I'd guess that the Simple Machines code (in reply boxes) is having to run through some rectifying module on your phone in order to be fully compatible with your phone. Lots of mobile devices have that problem on some websites but not others-- and it doesn't surprise me that it might be so with SimpleMachines, since it isn't a native platform for ANY mobile device, so far as I'm aware. That makes sense.... Thanks CM. 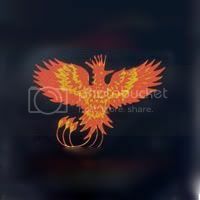 Firebird- its an iPhone 4. I have noticed more lag time with my iPhone in general lately (both typing online and in texts and general use) - seems to have gotten worse since I updated to IOS5 - but I haven't noticed it specifically worse here. Simple Machines could also be the explanation as CM suggested. I believe I can download Tapatalk capabilities to our forum, but I wasn't sure if people really used that app. I've not used it and haven't felt the need to buy it, but if many of our users do have it and feel it would make their phone browsing experience better, I can see what I can do about installing it on our site. One other suggestion - have you tried using WAP2? Is it still laggy? I don't use it because I prefer the full site layout, but it might be a temporary solution for you. At the bottom of the page, in the "credits" section you can click the WAP2 to try it. Okay, test posting using WAP2 and yes, typing seems much faster. I wonder if it's an interaction between the code of our forum and IOS5? The problem didn't start for me until I upgraded to it.